﻿ Notification addon for WHMCS - Nifty Alerts! - In2 Computing Ltd.
Never miss an error! Get notified before your customers do. 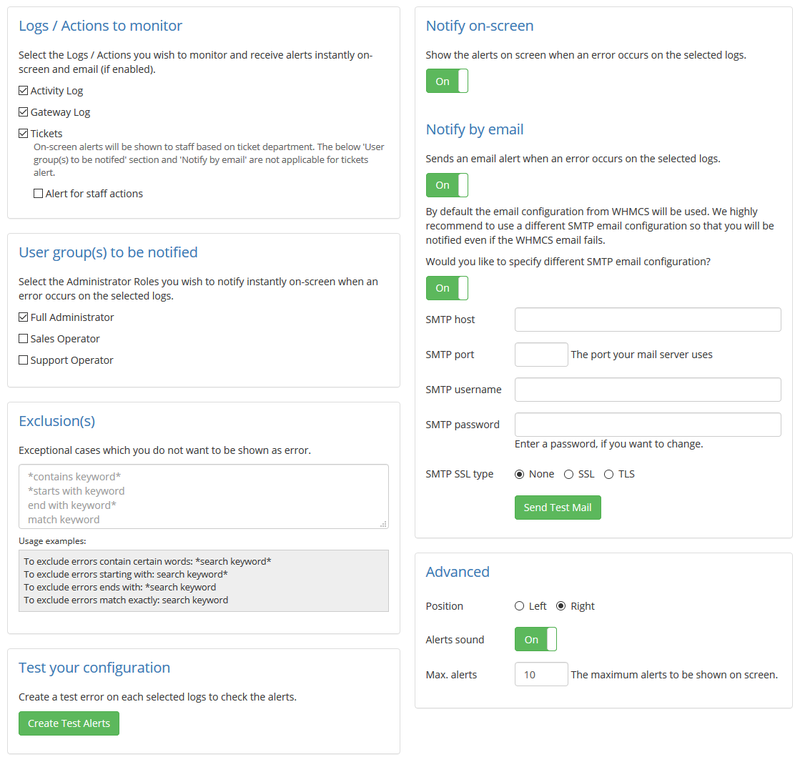 A WHMCS addon to alert you instantly on-screen and email when something goes wrong. here are some key features of Nifty® Alerts! Here are some screenshots of Nifty® Alerts!